The Kimberley is like nowhere else. There's nowhere else in the world quite like the Kimberley. This vast tract of land, an area of the Australian Outback that's larger than Sweden, provides a rich mix of experiences for nature and culture lovers alike, a series of locations and attractions that are unique and spectacular, that are isolated, and yet so accessible. Make it to Broome, in northwestern Australia, and you've made it to the Kimberley. Make it to this beachy hub and you have all the options necessary for exploring this untouched area of Australian wilderness, whether that's by road, heading into the interior on 4WD tracks, or by small ship, skirting the Kimberley's coastal fringe. You'll then be able to explore via a range of exciting options, from Zodiac to helicopter to fast boat, to appreciate the best the region has to offer. Those planning to visit the Kimberley will almost invariably spend time in Broome, the gateway to this spectacular area, and an attraction in itself. On one side of the town lies the white sand and almost impossibly clear water of Cable Beach; on the other you'll find estuaries and mudflats, and the beginning of the Kimberley proper. Broome is the ideal place to take in some culture and relax in luxurious surrounds while you prepare for – or unwind from – your big Outback adventure. 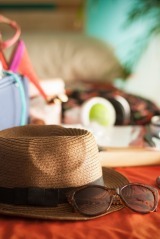 DON'T MISS APT's Broome Discovery extension allows guests to get the best out of this coastal region. 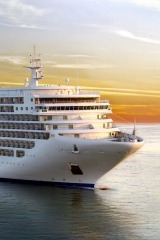 This is a three-day experience that includes accommodation at the beautiful Cable Beach Club Resort & Spa, plus a visit to the Willie Creek Pearl Farm, a ride on a camel along Cable Beach, and the opportunity to enjoy Broome's famed sunsets with a drink in hand. Sir David Attenborough once described the Horizontal Falls at Talbot Bay as "one of the greatest natural wonders of the world", and you'll very soon discover why. This area experiences huge tides of up to 12 metres, a rush of water that flows through narrow gaps in the surrounding gorge to create the appearance of a horizontal waterfall. It's one of the undoubted highlights of the entire Kimberley, a unique natural wonder. DON'T MISS Arrive here when the tides are right and you'll have the opportunity to take a highpowered fast-boat ride through the Horizontal Falls, riding the rapids to have an up-close view of this phenomena. Later, take a slower-paced ride in a Zodiac through Cyclone Creek to observe the rock formations and spot birdlife and crocodiles. There's plenty to see in the area that surrounds Montgomery Reef, a coral outcrop that rests submerged in the ocean when the tides are high. There's the chance to cruise through Doubtful Bay, keeping an eye out for whales if the season is right. 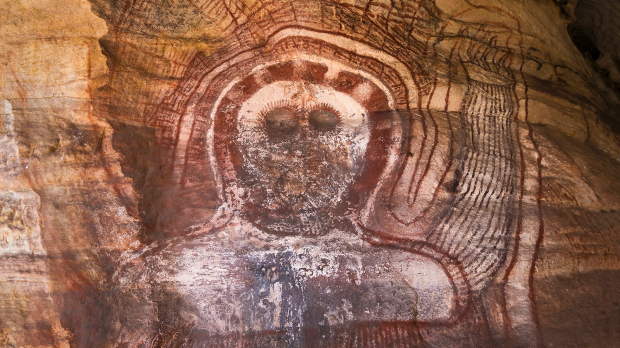 There's also an opportunity to land at Raft Point and visit an ancient Wandjina rock art site, where a local guide, when available, will talk guests through this living, 5000-year-old artistic tradition. 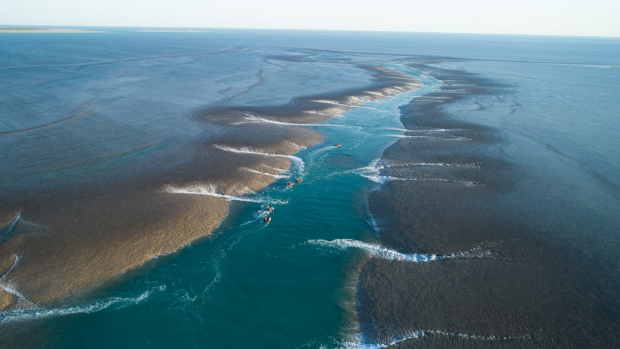 And then of course there's the reef itself, which is one of the Kimberley's great drawcards. DON'T MISS Board a Zodiac vessel and head out to Montgomery Reef to witness a tidal phenomenon: the sight of the reef "emerging" from the ocean as the tide ebbs and water cascades through funnels and other channels into the sea. This experience also provides ample opportunity to spot marine and birdlife from aboard your boat. 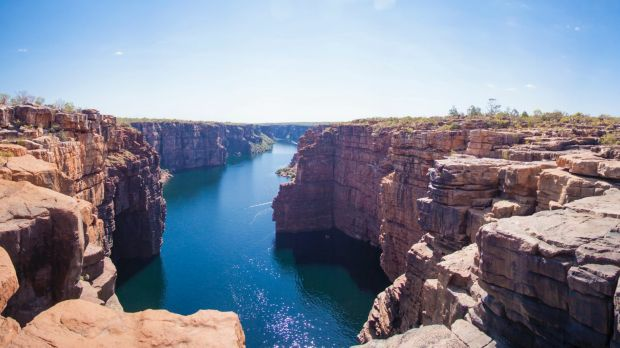 This is the Kimberley you've probably been picturing: the soaring red cliff s, the cascading waterfalls, the clear blue skies filled with native birdlife. 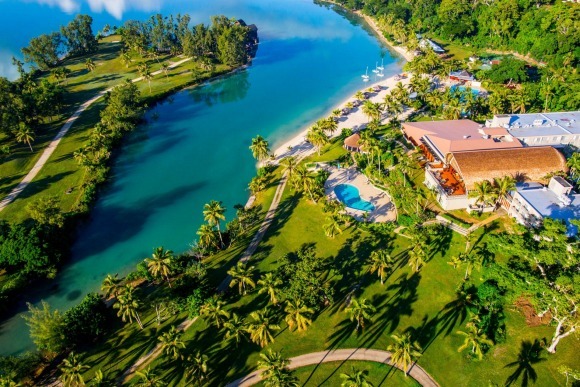 The area around Prince Frederick Harbour has everything a nature lover desires, from the rock formations and mangrove tracts to the huge range of wildlife that inhabits the area, the likes of crocodiles and mudskippers, as well as kingfishers, egrets, herons and sea-eagles. 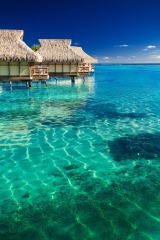 Flights to the Falls depart from he shoreline of Naturalist Island - a marine location complete with rich biodiversity. 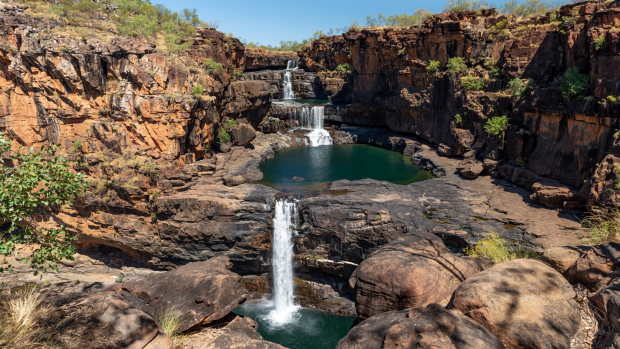 DON'T MISS Though all APT guests will be able to explore these wonders and nearby Naturalist Island via Zodiac, there's also the option to take an incredible helicopter flight over the four-tiered Mitchell Falls, one of the most photographed locations in the Kimberley. 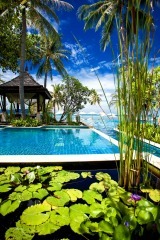 There is also an opportunity to swim in this area that is the rugged Outback at its finest. There's more than 5000 years of human history on Bigge Island – but that's only part of the story. This rocky outcrop, about six kilometres off the mainland coast, is the second-largest island in the Bonaparte Archipelago, a rugged place of weathered sandstone surrounding reef-filled bays. There are several native mammal species on Bigge, including monjons, a type of rock wallaby, and rare northern quolls. DON'T MISS The main attraction on Bigge Island is the incredible Indigenous rock art, some of which dates back 5000 years. It's here you'll find examples of "first contact art", depicting European tall ships from the 15th to 18th centuries, as well as figures of Wandjina, believed to be the supreme creator by the local Wunambal people. These paintings are retouched every year by the Wunambal, and this is thought to be the oldest continuous sacred painting tradition on the planet. 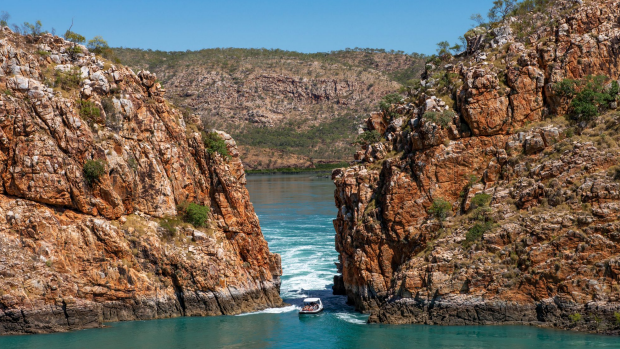 This is one of the principal reasons people travel to the Kimberley: to see sights like the King George River, with its towering red cliff s and its moody, deep waters. From the river's mouth at one of the northernmost points of the Kimberley, this body of water snakes 12 kilometres through ruggedly beautiful terrain, where mangrove-fringed coves hide in the river's lees, and whitewater cascades from tributaries, and where the spectacular King George Falls awaits at the end. DON'T MISS APT guests can get up close to the thundering falls – twin cascades that plunge 50 metres over a sandstone cliff – in Zodiac vessels, the ideal way to get into the area's fascinating nooks and crannies. This is an unforgettable excursion into one of Australia's most beautiful wilderness areas. Experienced dive instructor, marine biologist and ship's Expedition Leader for over twelve years, Craig has been involved in marine research and education throughout the Indo-Pacifi c. He became a wildlife keeper and is a regularly cited author. In 2019 Craig celebrates 15 consecutive years in the Kimberley, sharing his passion and knowledge for this captivating part of Australia. As someone who has worked in the Kimberley since 2005, Craig's passion speaks for itself. 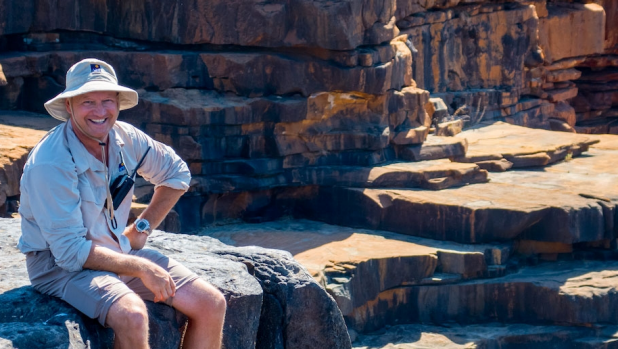 Craig studied Zoology and Ecology at James Cook University, and was an avid reader on all things Kimberley before he travelled to this incredible region. Once he arrived, he began taking detailed notes. 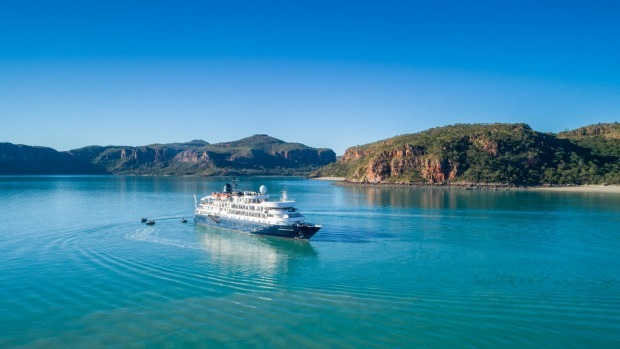 Craig himself says about the Kimberley, "It is one of the few places in the world that has called me back year after year and I have answered without hesitation." 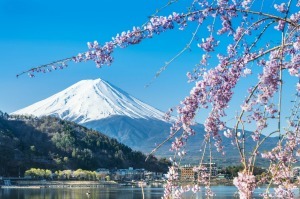 This article has been produced in association with APT. There's nowhere else in the world quite like the Kimberley. A series of locations and attractions that are unique and spectacular, that are isolated, and yet so accessible. 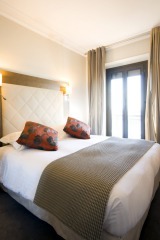 Everything is taken care of in an unforgettable luxury journey with APT. 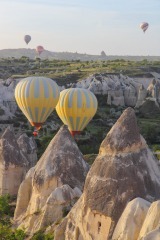 For more information visit www.aptouring.com.au/traveller, call 1300 290 669 or contact your local travel agent.